It has been an extraordinary 24 hours. 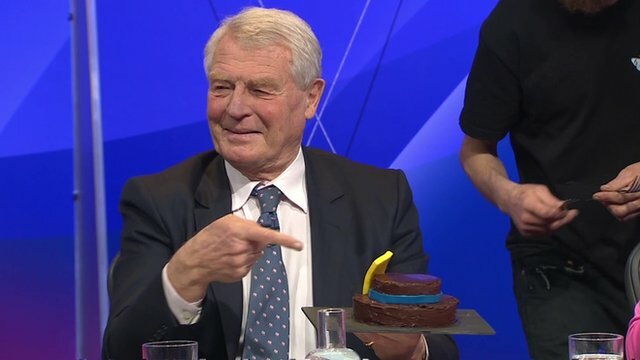 Nobody could quite believe that exit poll when it emerged, not least Paddy Ashdown, who promised to eat his hat if the poll was right. Against all expectations the Conservatives were thought to be the largest party yet shy of a majority. 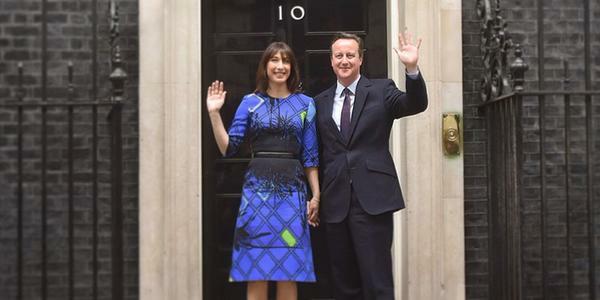 Would they renew their vows with the Liberal Democrats to get over that magic mark of 226? Or would Tory backbenchers prefer to partner with the DUP and UKIP? Over the course of the night one big name after another dropped like crestfallen flies. Simon Hughes. Jim Murphy. Vince Cable. Ed Balls. George Galloway. Nigel Farage. Perhaps most shocking of all was Douglas Alexander, who this time yesterday must have been looking forward to a phone call from his party leader. “Dougie,” Prime Minister Miliband would say, “We’ve done it. 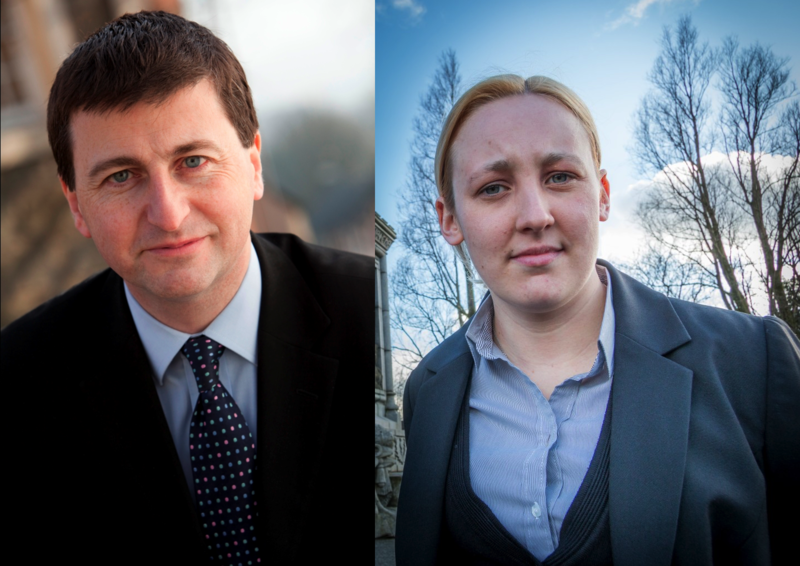 And you’re my Foreign Secretary.” Instead, the Labour hopeful found himself ousted by 20-year-old student Mhairi Black. It was both inspiring to witness this spirit of “Anything can happen!” and frightening that Alexander’s good reputation and eighteen years of service counted for nothing. By lunchtime the unimaginable had happened: the Conservatives had won an overall majority. No need to make deals after all. David Cameron would remain Prime Minister and that was that. It was – it is – quite simply astounding. Looking at the new political map, one thing is all too apparent: the UK is divided. Politically, the centre ground is now vacant, with the Lib Dems all but wiped out, the Alliance Party of Northern Ireland no more, and every other party having stepped back quite a bit into their respective corners of the ring. Geographically, patches of red are confined more than ever to urban centres, making England indistinguishable from a nighttime snap from a NASA satellite, while its northern neighbour of Scotland has never been more defined. 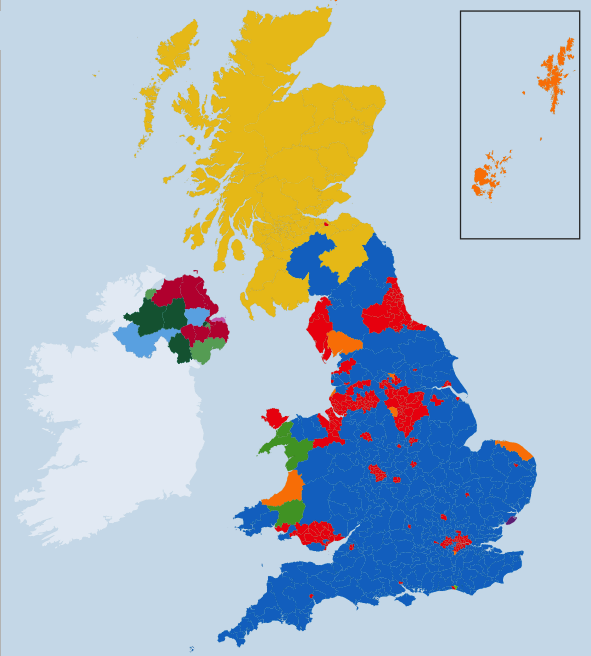 Only Wales with its blues, reds, yellow and greens seems prepared for pluralism. “May you live in interesting times,” they say, and interesting times the next fives years certainly shall be. Our two political unions will be tested, and will either bend and survive or else snap. Having brushed aside the Westminster parties, Unionist ones like Northern Ireland’s DUP and UUP will likely spring up in Scotland. 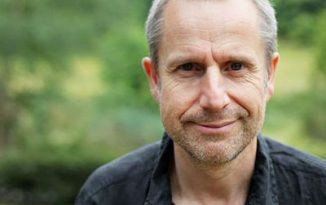 British socialism and liberalism will be rethought, revamped and revived. British conservatism will face the challenge of juggling tax freezes, debt repayments, spending cuts and indignant citizens in an ageing population hostile to high immigration. The electoral system, parliamentary sovereignty and the Human Rights Act will all be questioned. Pollsters will be punished, and perhaps leaders will be persuaded that communicating beats obfuscating, that leading beats following. Perhaps. It has been an extraordinary 24 hours. Now bring on that hat!